From the dodgy streets of Johannesburg to the hallowed halls of Toronto’s academia, from the heaving swell of the English Channel, to the white sands of Canada’s Bay of Fundy, Crime is indeed a global affair. 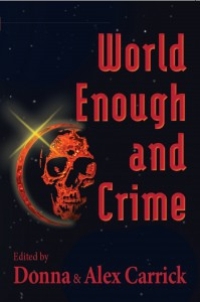 World Enough And Crime features stories by such Award-winning authors as: Rosemary Aubert, Kevin Thornton, Melodie Campbell, M.H. Callway, Steven Moore, Joan O'Callaghan, Jayne Barnard and Rosemary McCracken, as well as emerging authors John Thompson, Bianca Morais and Ed Piwowarczyk.